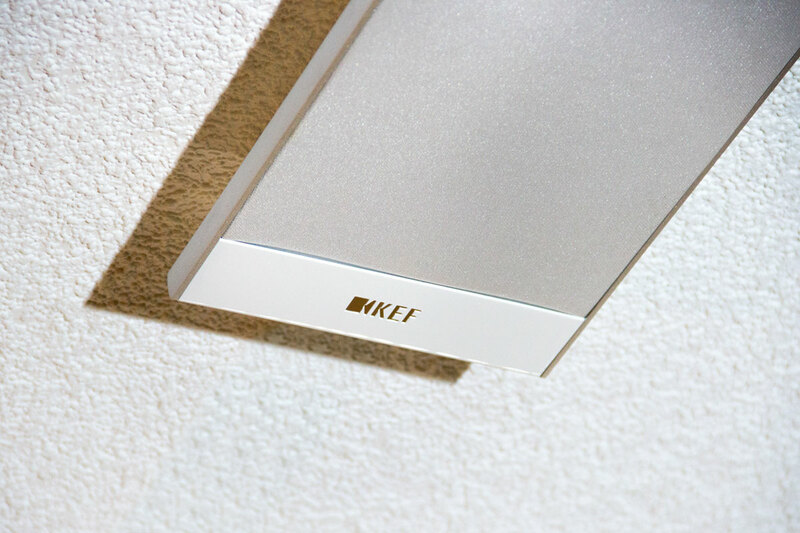 Created for your unobtrusive ceiling installation is the incredibly flat KEF T301. 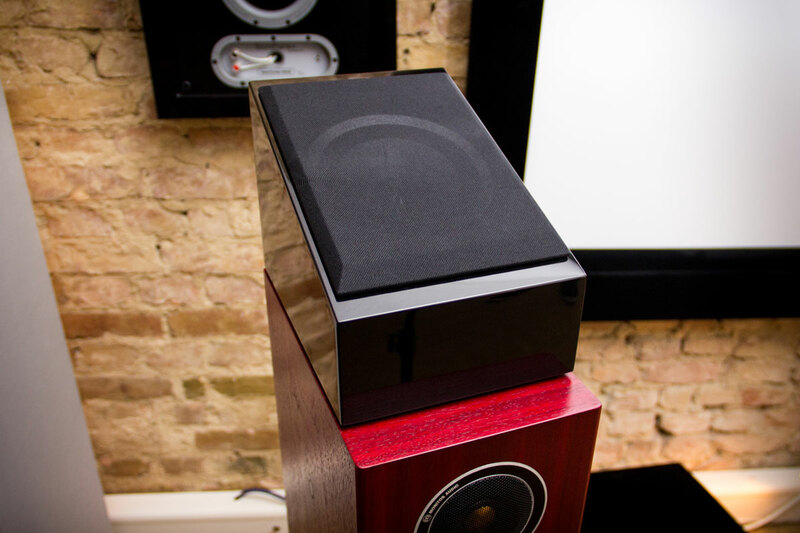 With these speakers, the principle of “maximum sound in minimal space” was successfully executed, the two mid/woofers (115 mm) and the tweeters (25 mm) bring a wide frequency range from 80Hz to 30KHz to the air. 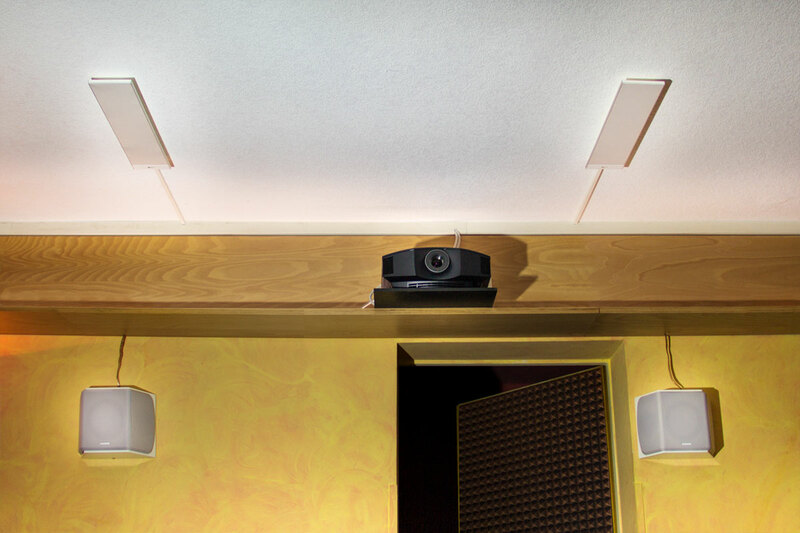 We have two screening rooms each equipped with a T301. Whatever the future holds for over-head technology, a pair KEF301 will always be an extremely appealing member of the gallery. 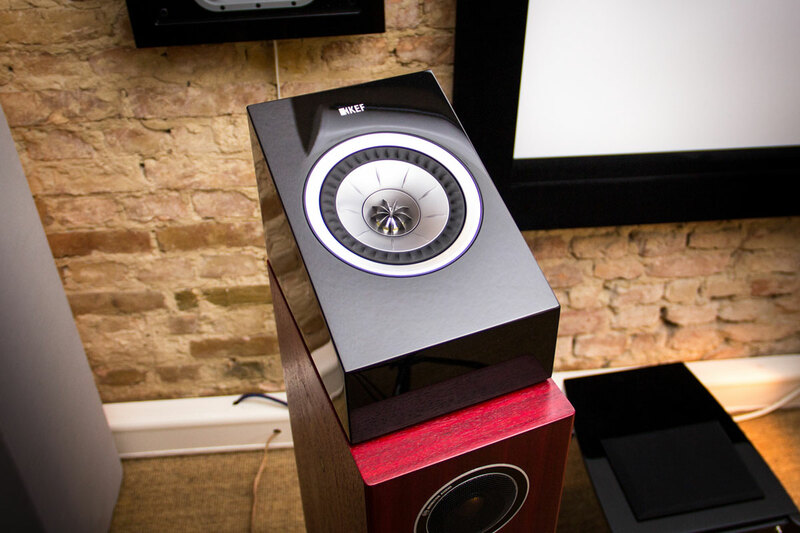 Another concept pursued were the Dolby Atmos-enabled KEF R50 speakers from the R-series. They’re put into surround-mode and the sound initially radiates upwards towards the ceiling and the sound finally arrives via indirect reverberations to the ear. Based on the highly successful KEF Uni-Q, a 25 mm tweeter and a 130 mm mid / woofer made of aluminum also form a broad band from 96 Hz frequencies between 19.5 KHz. This option is of course easier to install because ceiling installation is not required. In order to achieve a good result, additional factors such as the placement of the speakers according to the seating position, the ceiling height and the like, should also be given consideration. 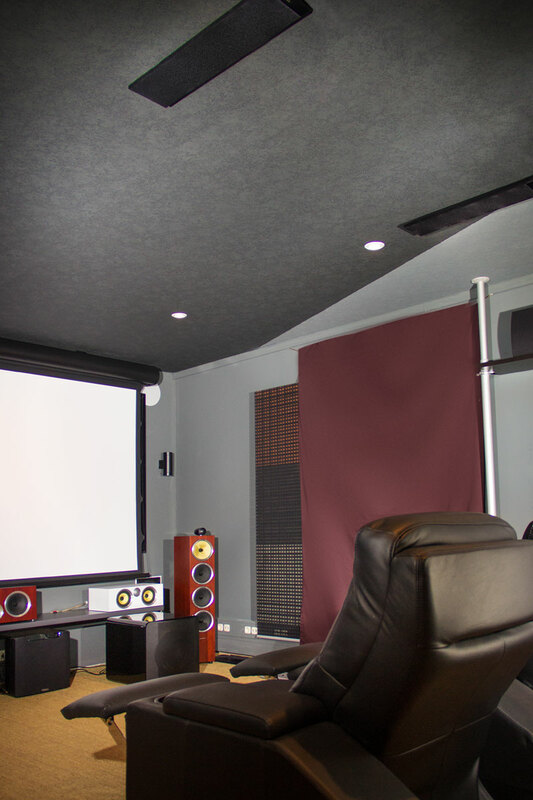 Based on our experience, we prefer the ceiling installation as it’s more flexible and sonically more convincing. 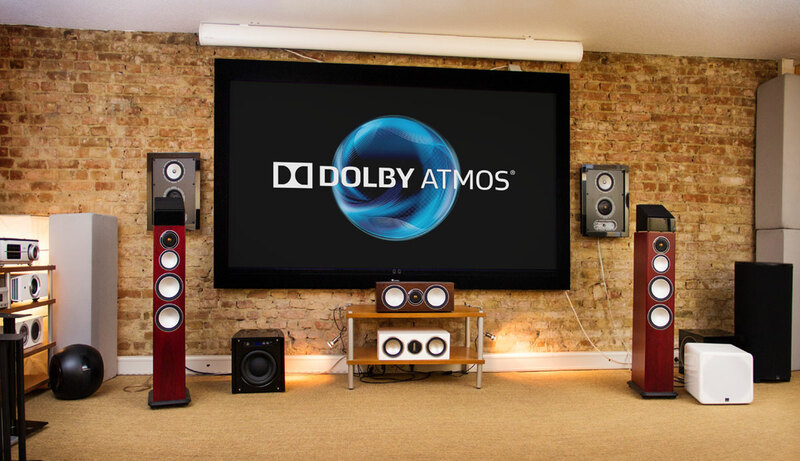 The placement of the additional speakers is determined by the locations of the surround speakers and in turn additional shelves or stands are needed. Such a restriction does not take place with is not responsible for the positioning of ceiling speakers. 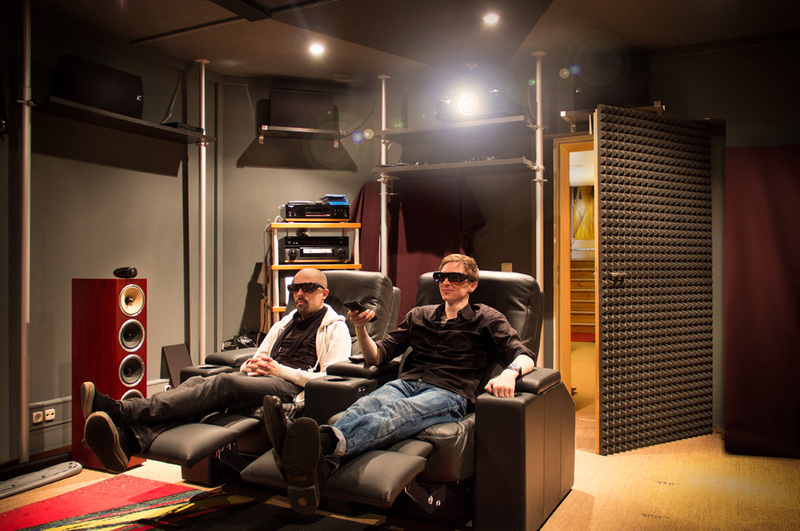 Even if you are not totally sold on the ceiling, you’re always able to at least try out some alternatives and and eventually you will be able to determine the best possible result for the actual listening position. In addition, from a phonetic perspective succeed stretching the three-dimensional sound space with ceiling speakers better and individual sound events are more accurately determinable. May I ask how you attached your flat Kef’s to the ceiling please? I realise they slot on the screws but how do you make them stay in place? Thank you. I also would like to know how you secured the T301’s to the ceiling and if the dispersion is good enough in your opinion. Hello, disperion ist best you can geht with this small depth. We don’t secured it, it sticks good enough. But if you wish, it is easy to secure it with a single screw or a piece of glue. The 301s look great. 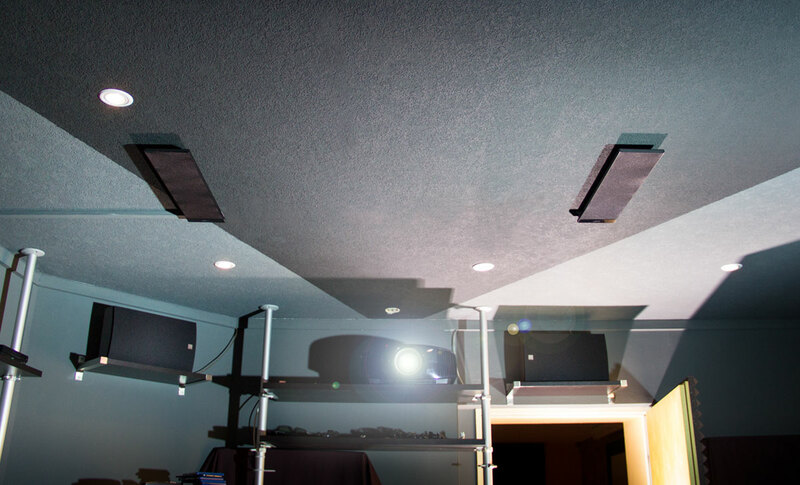 What speaker keads are you using on the ceiling please? They look very flat too. Also do the 201 and 101 sound good on the ceiling? I have a pair of KEF T101s that I want to use as ceiling ATMOS speakers, also. I would really like to know how you secured them to the ceiling. I mean, I know they have their own slots, but how do they stay in place without the help of gravity?